Windows PowerShell discussion with System Administrators and Developers: Feedback – ISE has no good Add-On’s. Many uses ISE Steroids which is an excellent add-on for PowerShell ISE. We do have script browser and analyzer now. We don’t have commands to meet all our needs in Windows PowerShell so we create a function , Proxy Functions, Workflow, Class or modules for various needs. Similarly, we can create our own add on for ISE. Let us see a quick demo of it using Visual Studio 2013. We can easily create this using with the available VSIX if not you can opt for WPF Control Library and create a add-on as required by adding Microsoft.PowerShell.GPowerShell. In this article we will make our job easy by using VSIX – Click to download . Read the documentation and install the VSIX as required. Now, we will create a simple CustomAddon which will insert a code or some string into the current ISE file. 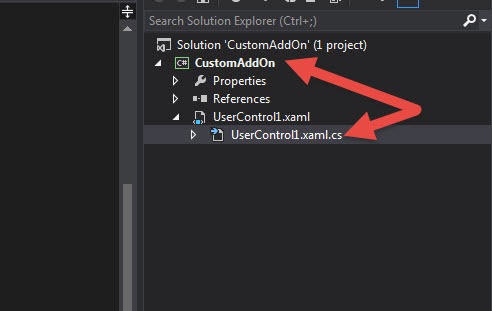 Now open up the UserControl1.xaml.cs code – Just double click it and the below will be the default code. Now, it’s time for us to add the controls and code as required. For, testing let us add a button and trigger an event which inserts code or string in ISE current file. Just make a note – I have made the name of the button as code and created a click event but haven’t did any code for event firing. so, to do that we will jump back to CS file and code as given below. That’s it for now ! We will see more WPF controls and building ISE Add-On’s using Visual Studio 2013!